It takes more work to create margin than it does to stay busy. Busy is the default. Margin takes intention. But where do we even begin? Let’s start with your inbox. Step One: Get the good stuff. It’s quiet, it’s intentional, and it’s personal. Bonus: One of my super-powers is recommending soulful books on deeper life with God and others and I always include my current reading list in each monthly letter. Readers tell me it’s their favorite email they get all month. I hope it’s true for you. Step Two: Take a weekly pause. If you want more frequent reminders to pause, create space, and allow some of those unnamed things within you to rise to the surface, you can listen to my weekly podcast, The Next Right Thing. It’s short, it’s reflective, and best of all it’s free! Here’s where you can learn all about it. Step Three: Some extra help to get started. If you’re looking for some thoughtful perspectives on making decision and creating space in your life for what matters most to you, here are a few posts I’ve written that might help. At the end of every season I share a list of what I learned as a way to purposefully look back before moving forward. 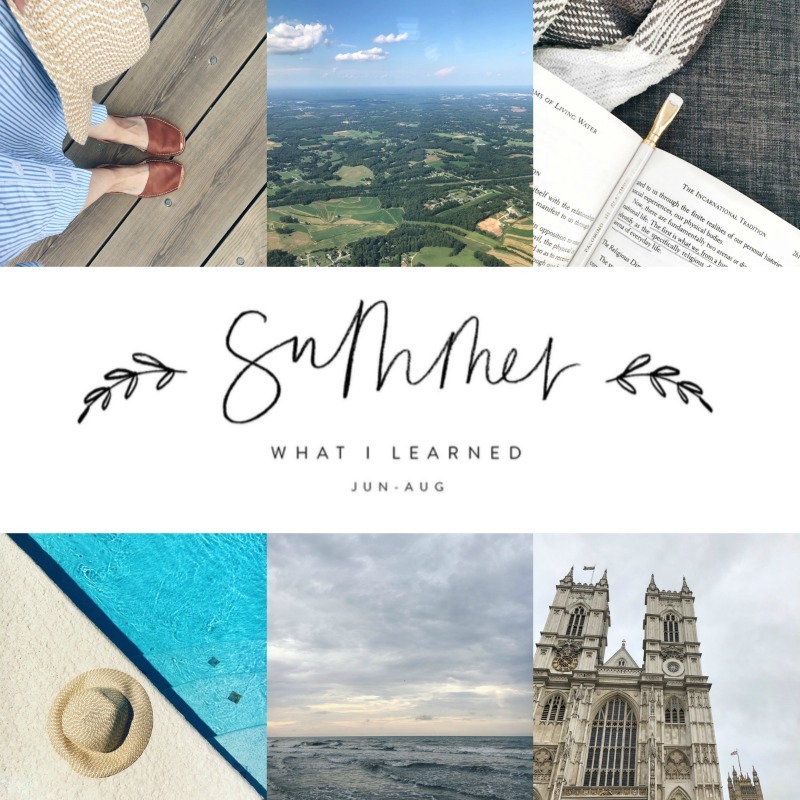 After doing this for a few months last year, a reader suggested I make it a link up so the community could share what they are learning too. Now it’s one of my favorite posts I do. If you’d like to join in but aren’t sure where to start, here’s a post on how I keep track of what I’m learning. I always post this link up on the last day of the month. If the last day of the month falls on a weekend, we do the link up on that Friday. Enter your email below and we'll send you these printable seasonal lists to keep track of what you're learning. You'll receive both full-page size and journal size. Note: Both Northern and Southern Hemisphere options are included in your download, so be sure to print out the appropriate one.